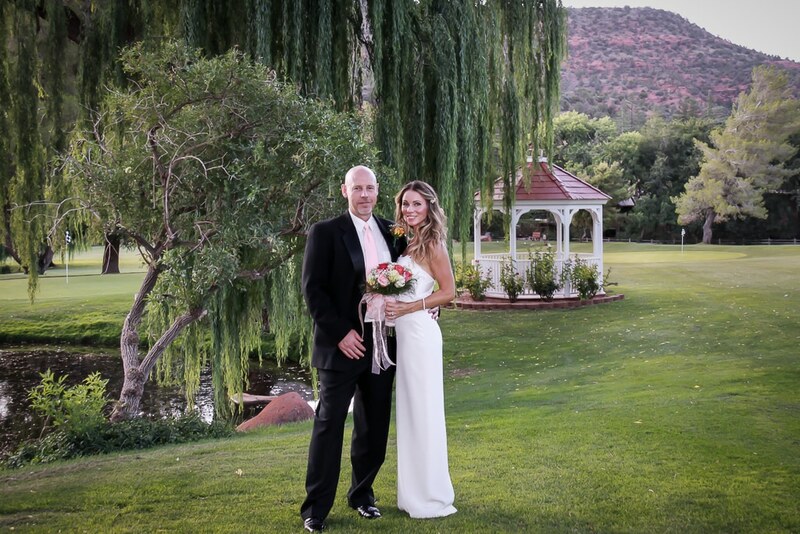 A wedding in Sedona or the Grand Canyon… the dream of a lifetime! The look in his eyes, the sparkle of a happy tear… Enjoy it again and again, forever… Let the Sedona Wedding Memories team, Leslie McCandless and Joe Robinson, capture this most meaningful day of your life. The spectacular beauty of the formations at the Grand Canyon, or the red rocks of Sedona make them natural wedding locations, and as long-term residents of Sedona Leslie and Joe know the best locations and times for a wedding photographer in Sedona AZ. At Sedona Wedding Memories, we know that being in the right place at the right time makes all the difference on this-oh-so important-day. There are no second-takes at a wedding! Whether you choose a simple outdoor elopement framed by the red rocks, or exchange your vows inside one of our chapels or resorts, Sedona Wedding Memories can preserve the magic of your wedding day with a variety of packages with pricing for every budget.